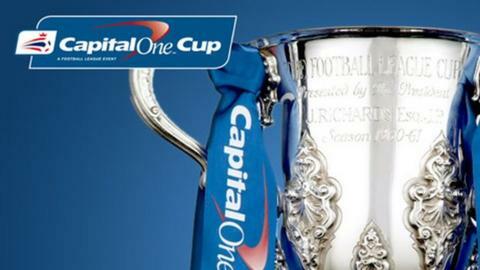 Everton have been drawn away to League One Barnsley in the second round of the League Cup. Other Premier League clubs facing away ties include Bournemouth, who face a long midweek trip to League Two Hartlepool, and Leicester at Bury. Norwich visit Rotherham, Stoke go to Luton and Watford are at Preston. Holders Chelsea do not enter until the third round along with the seven other teams who qualified for European competition. They are Manchester City, Arsenal, Manchester United, Tottenham, Liverpool, Southampton and West Ham. Nine Championship clubs were knocked out of the first round. Swansea City, winners in 2013, are at home to League Two York City, while Exeter fans also face a long trip after being drawn away to 2014 runners-up Sunderland.